Making a Night of it! 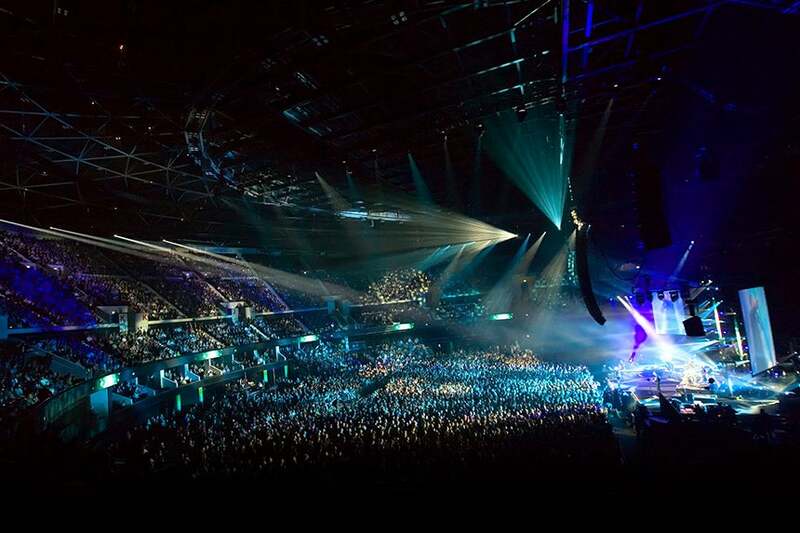 If you’re going to a show at The SSE Hydro, chances are you’ll want to make a night of it! If you’re on a date night to see The Killers or entertaining clients at Celine Dion, you might want somewhere nice to eat. If you’re going to Stereophonics with a few friends, you might be looking for a couple of drinks. Whatever your plans, we’ve got you covered. Hydro Club members have a choice of two lounge facilities in the venue, both of which offer panoramic views of the arena to allow you to soak up the atmosphere. Our Hydro Club Restaurant is the perfect setting for pre-show dining, whereas the Capital FM Starsuite is the go-to destination for drinks, light snacks and cocktails. My advice? Plan ahead! The restaurant has a limited capacity, so bookings are offered on a first-come, first-served basis. The Hydro Club Restaurant is our pre-show dining destination. We offer a 3-course meal for £35 – with a seasonal menu and event night specials that cater for all tastes and dietary requirements. View the menu here. The restaurant is perfect for entertaining – early entry, a private table for the evening, table service and private access to the Club Seats. Reservations must be made in advance, either online via the Members section of the website (log-in here) or by contacting Kirsten Louttit - [email protected]. Be quick if you’re looking to dine at upcoming shows such as Neil Diamond, The Killers or Phil Collins! If you received your tickets for an event via a Hydro Club member and wish to book into the restaurant, you are more than welcome to do so. Simply contact Kirsten with the details of the event and either the Club Member name or your ticket booking reference. For some performances, event ticket holders can upgrade to The Hydro Club Restaurant. Bookings can be made online for the shows listed here. The Starsuite is our VIP bar area, and any guest who has a Hydro Club ticket is entitled to access without advance reservation. If you’re eating in town first or arriving later, you can rock up to the bar and grab a drink to take to your seat. A ‘light bites’ menu is also available (which can be viewed here), where you can order a burger or sandwich. To access the Starsuite, simply go to The Hydro Club Reception desk on the ground floor and present your ticket. Our team will do the rest. Both venues remain open during performances and for an hour once the show has finished, so you can enjoy a drink or relax as the traffic outside disperses.